Description 1st Pan pb ED. 190pp. 24 b/w plates & 13 wreck location charts. good cond. Between 1800 and 1920 - excluding heavy wartime losses - more than a thousand vessels were wrecked along the 70 miles of the north coast of Cornwall between the Longships and Lundy Island. 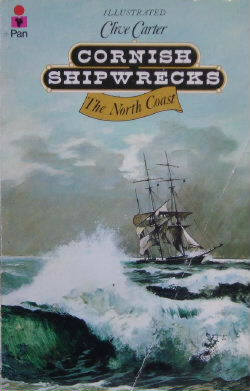 This book records several hundreds of these shipwrecks.